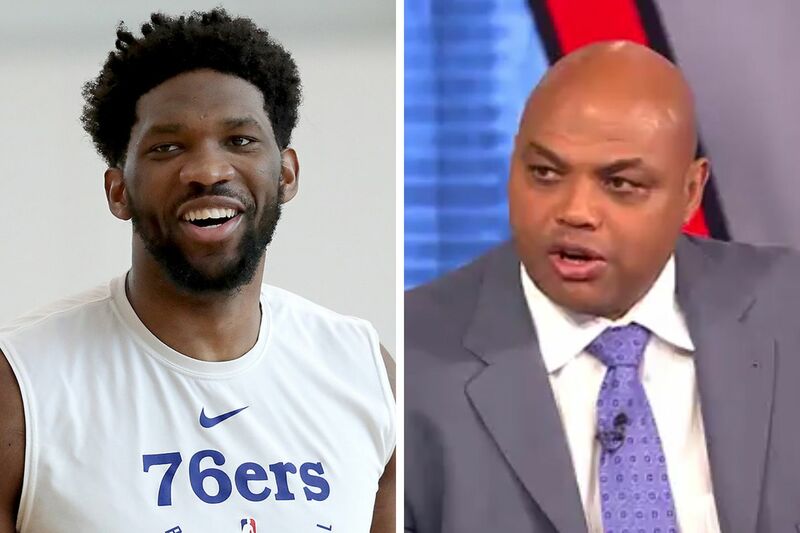 Joel Embiid made TNT's Charles Barkley regret saying the Sixers star needed to be taken out of the game after halftime. Sometime, life comes at you fast, even if you’re an NBA Hall of Famer. With the Sixers up by just one point at halftime of Monday night’s Game 2 match-up against the Brooklyn Nets, TNT analyst Charles Barkley was all but ready to stick a fork in Philadelphia’s playoff chances. So how did Embiid respond to the criticism? By immediately scoring 13 points and pulling down five rebounds in the third quarter, helping the Sixers to a 51-point quarter (tying the record for the most points scored in a quarter by a team during the NBA playoffs). By the time Mike Scott’s buzzer beater went through the net with 0.0 left in the quarter, the Sixers had a comfortable 116-87 lead over the Nets. The Sixers ended the game with a 145-123 win, evening their best-of-seven series with the Nets at one game apiece. The two will face off in Game 3 on Thursday night in Brooklyn on TNT and NBC Sports Philadelphia. Harlan has made many great calls over his 36-year career as a broadcaster, but it’s hard to top his play-by-play of a shirtless streaker running onto the field at Candlestick Park during a 2016 game between the Los Angeles Rams and the San Francisco 49ers (during Chip Kelly’s one and only season as head coach). Late in the fourth quarter, NBC Sports Philadelphia play-by-play announcer Marc Zumoff predicted that WIP’s Angelo Cataldi, The Fanatic’s Marc Farzetta, and every other Philadelphia sports talk radio host would have a different tone Tuesday following the Sixers’ dominant win. I never once doubted you, Brett Brown, Ben Simmons, JJ Redick and Tobias Harris.